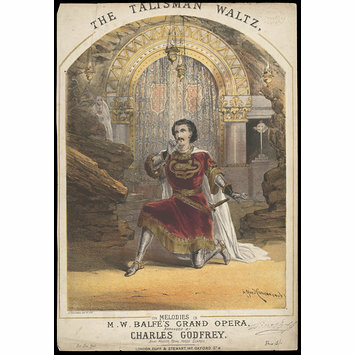 Sheet music cover for The Talisman Waltz from Balfe's opera, The Talisman, arranged by Charles Godfrey, published by Duff & Sterwart. 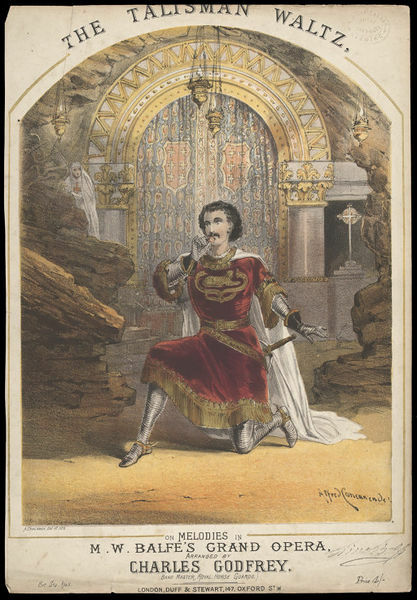 Sheet music cover for The Talisman Waltz from Balfe's opera, The Talisman. 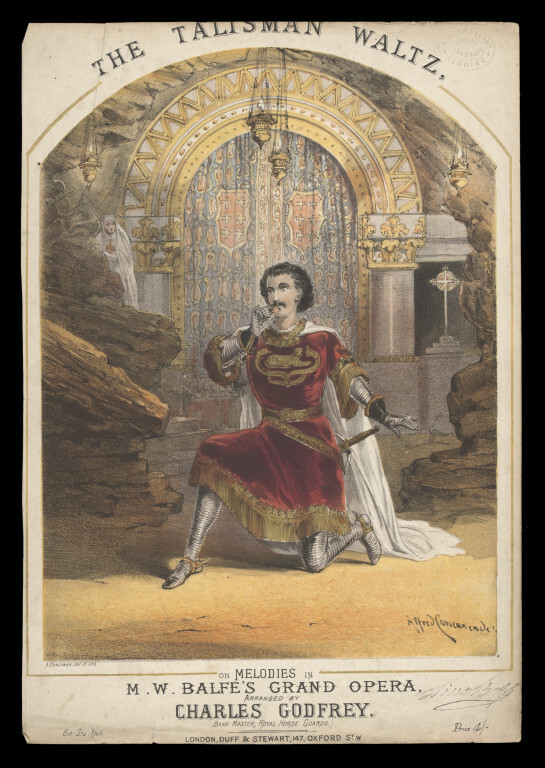 Sheet music cover for The Talisman Waltz from Balfe's opera, The Talisman, arranged by Charles Godfrey, published by Duff & Sterwart, Harry Beard Collection.